Log Cabin Ceiling Fan. 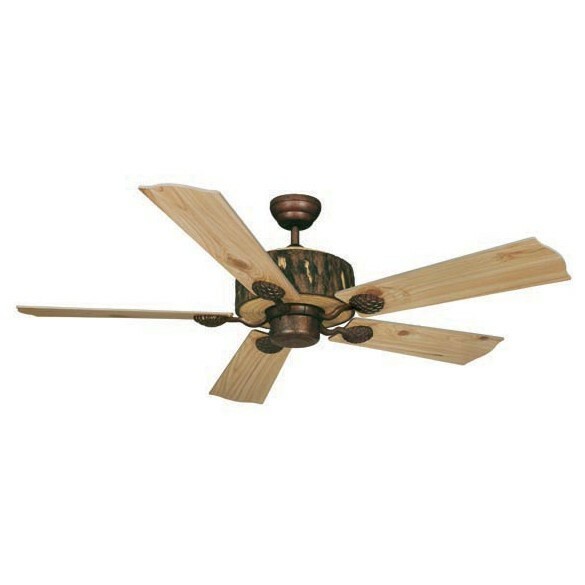 Our rustic log cabin ceiling fan features a 172mm x 16mm motor and has a rustic weathered patina finish. Reversible Washed Oak/Pine Finish Blades span 52" with a 13 degree pitch. 4" Downrod is included. Resin housing has a tree trunk pattern. This fan is light kit adaptable. Our rustic Log Cabin Ceiling Fan features a 172mm x 16mm motor and has a rustic weathered patina finish. Reversible Washed Oak/Pine Finish Blades span 52" with a 13 degree pitch. 4" Down rod is included. Resin housing has a tree trunk pattern. This fan is light kit adaptable.